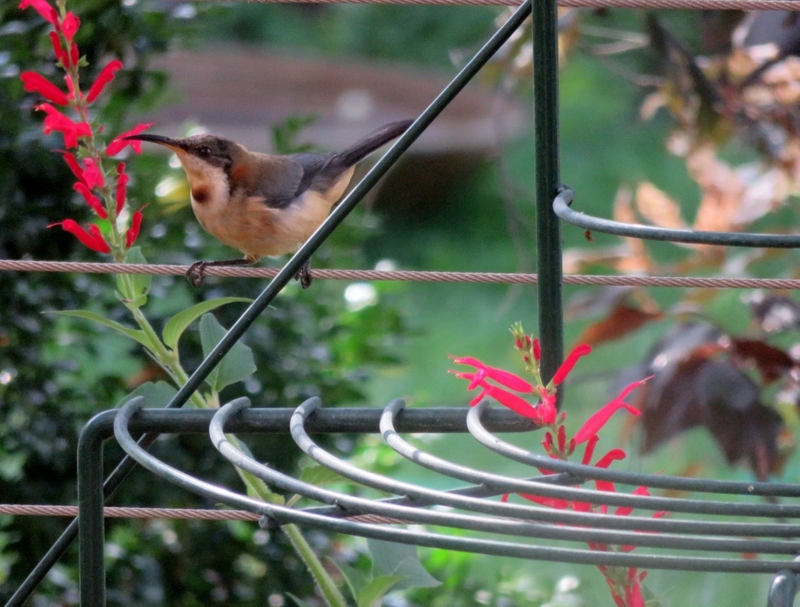 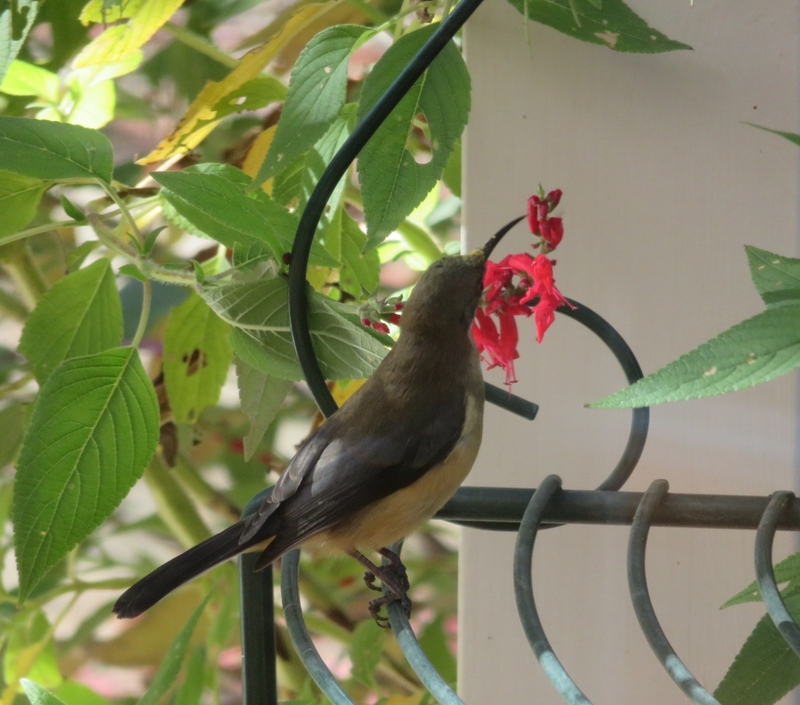 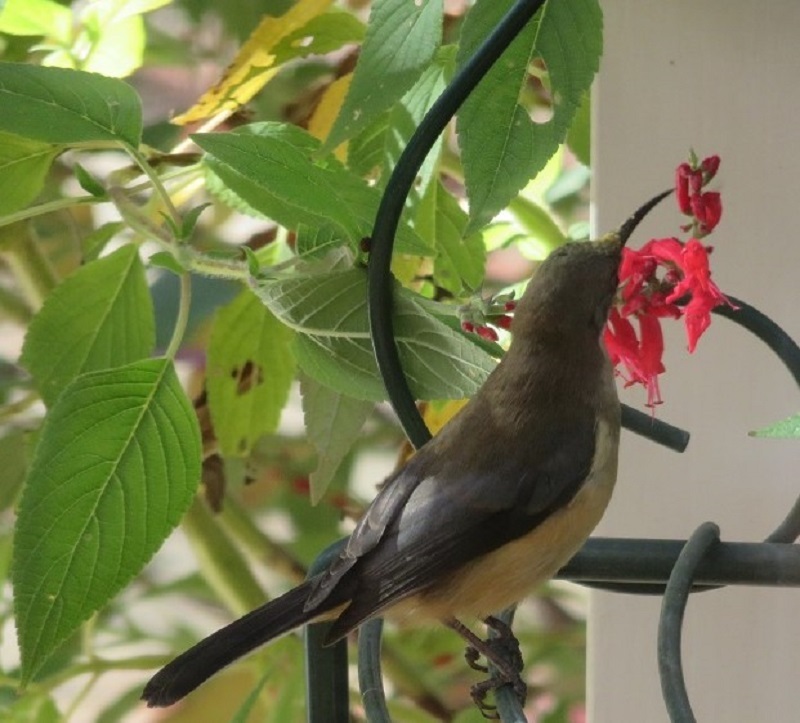 It is always a delight to see birds like the Eastern Spinebill in the garden. 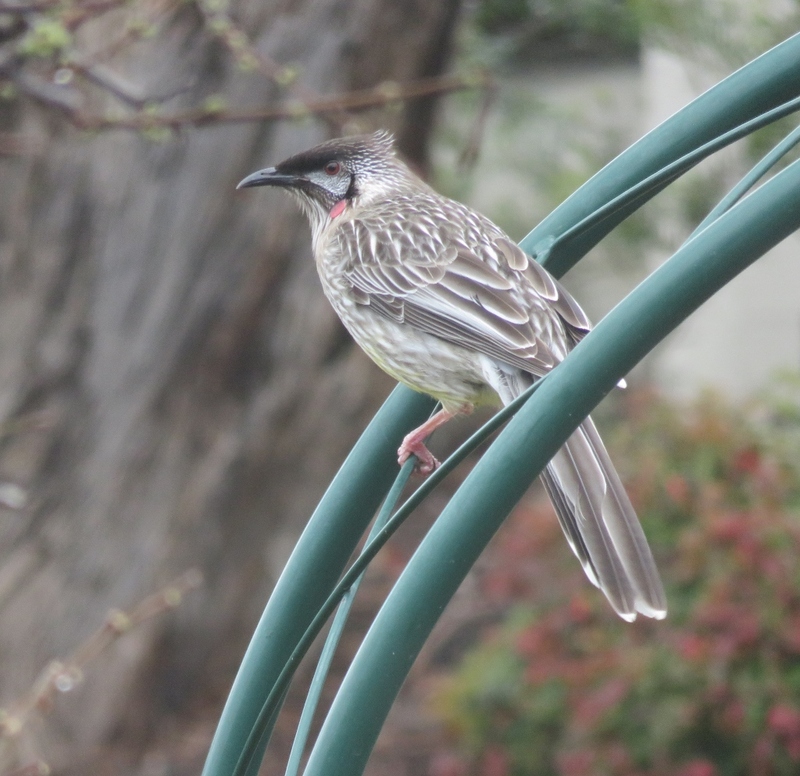 They are the smallest of the Honeyeaters in Australia and a treat to watch. 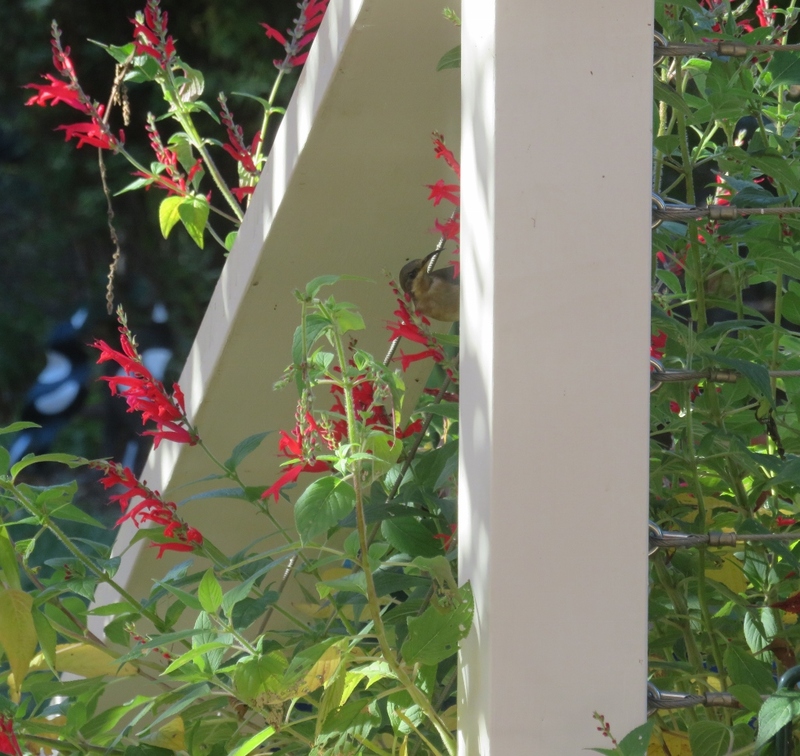 We have planted more and more Pineapple Sage near the deck in our back garden, and this year the flowers lasted well into winter. 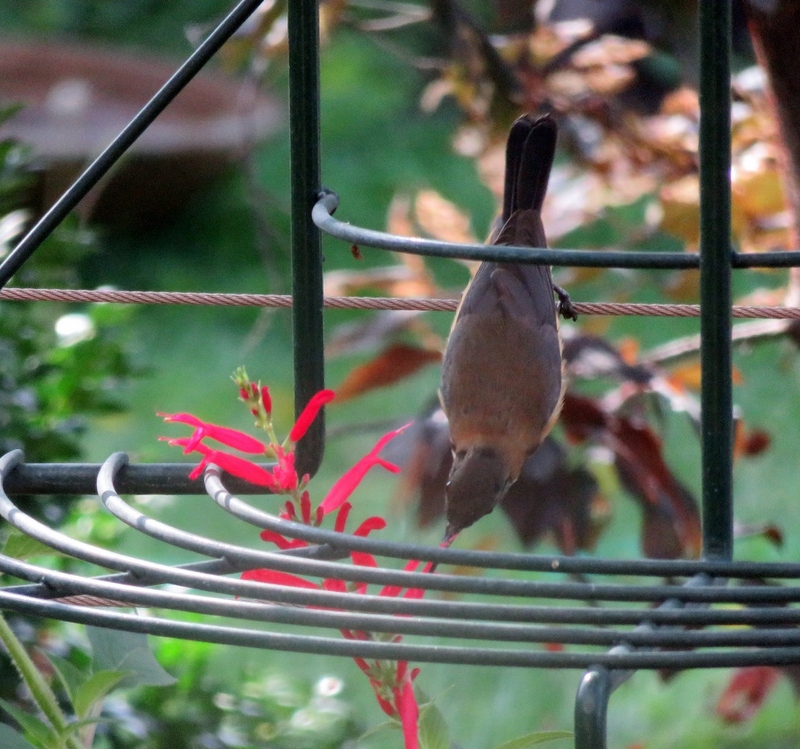 Now we can hear the strong call of the Eastern Spinebills on a winter morning…they are very welcome! 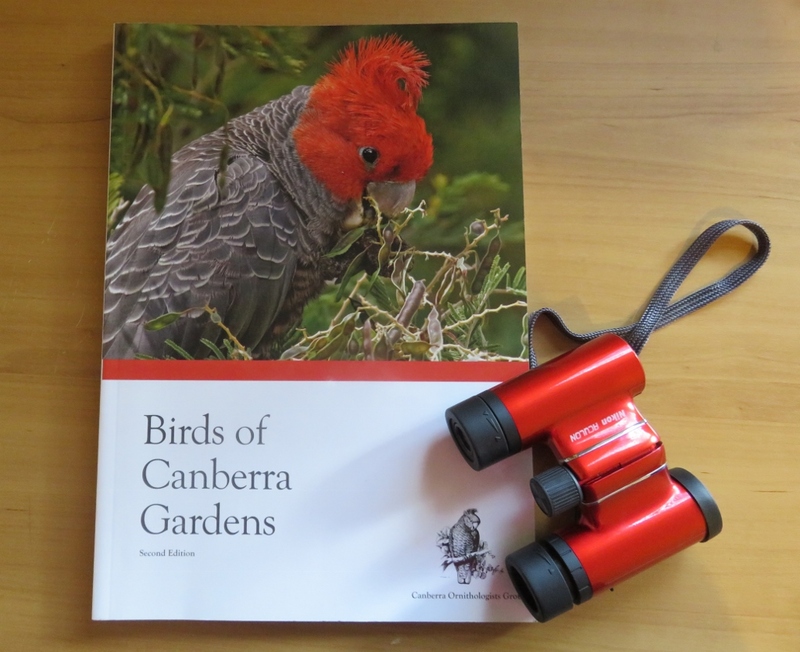 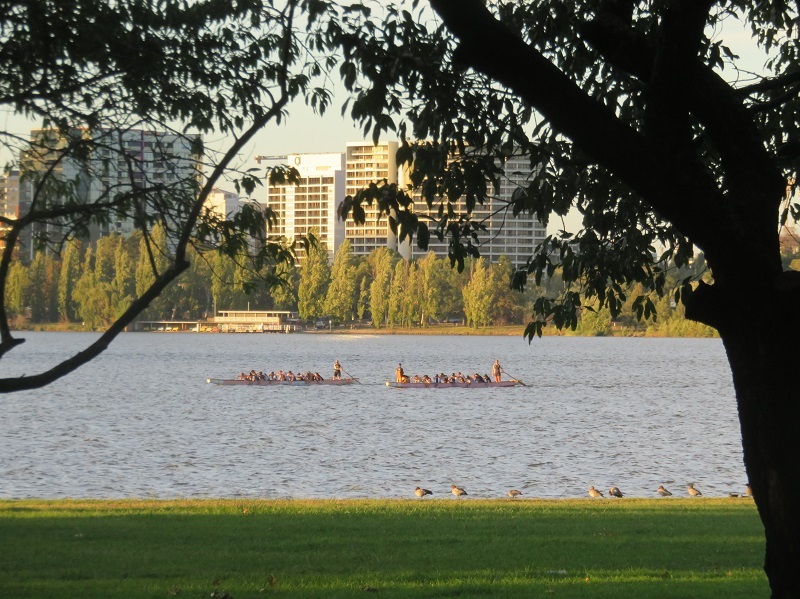 The Canberra Ornithologists Group has a useful and easy to read book called ”Birds of Canberra Gardens”. 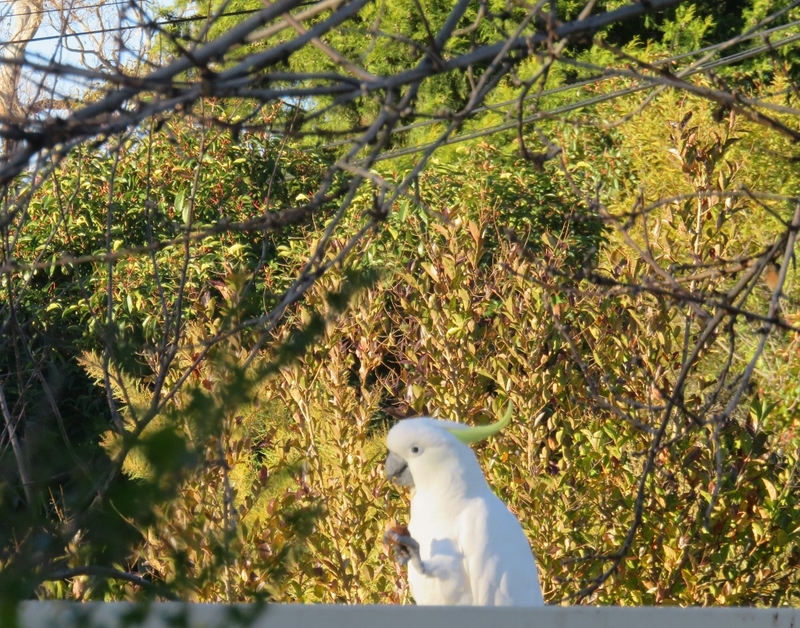 It has beautiful photos of all the birds in this area. 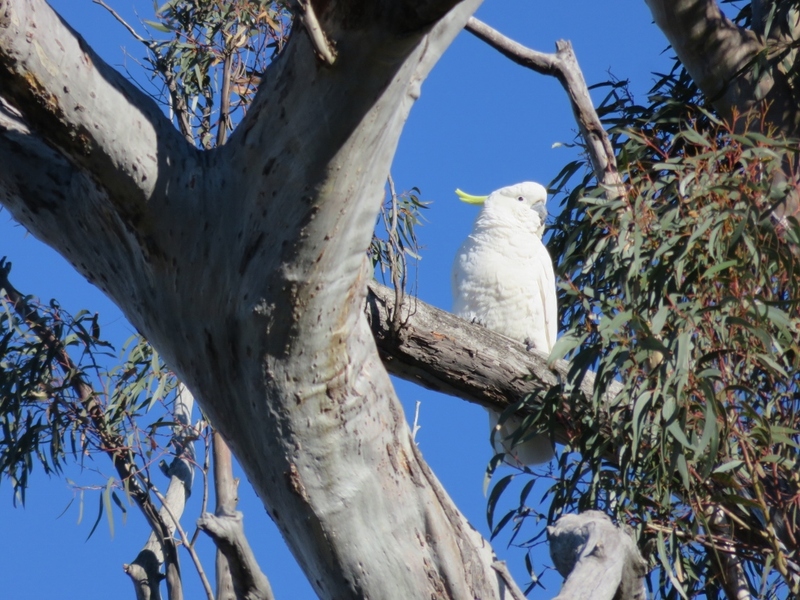 The bird on the front cover is a Gang Gang Cockatoo, and it is my dream to get a photo of one of these parrots one day! 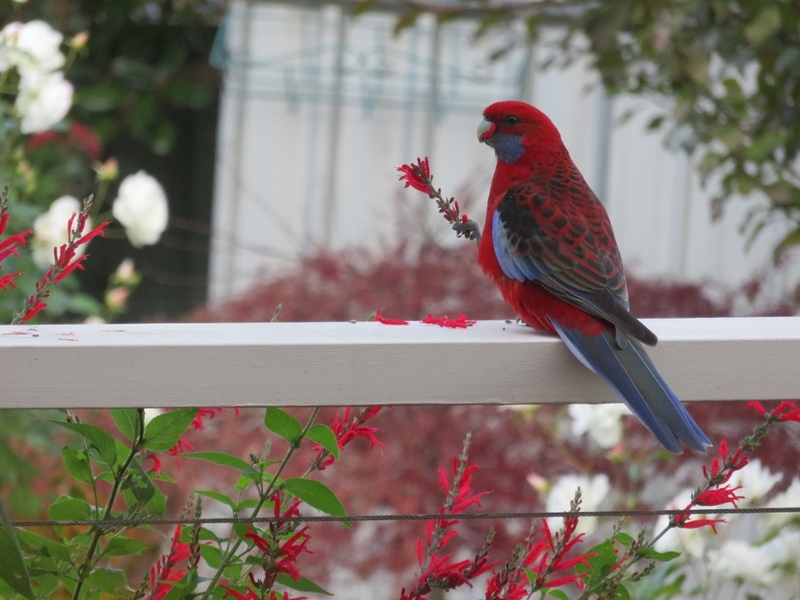 Paul took this lovely photo of our resident male Superb Fairy Wren….. isn’t he a charmer? 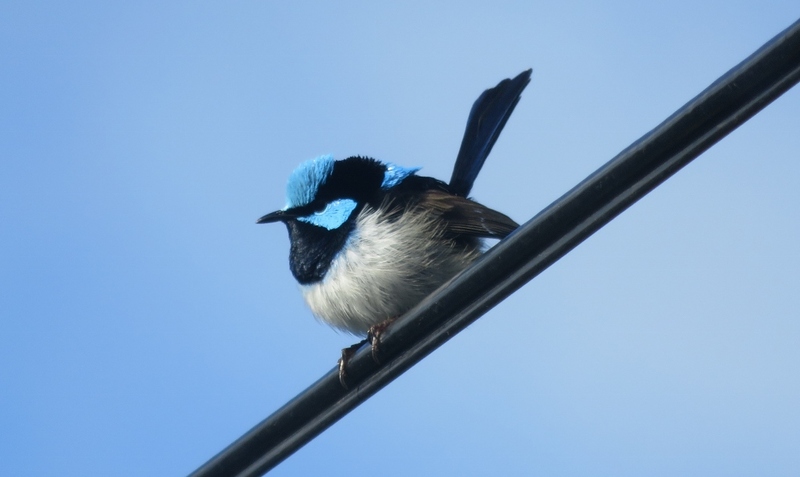 The Superb Fairy Wren is a local species of Fairy Wren, and has adapted well to Canberra conditions. 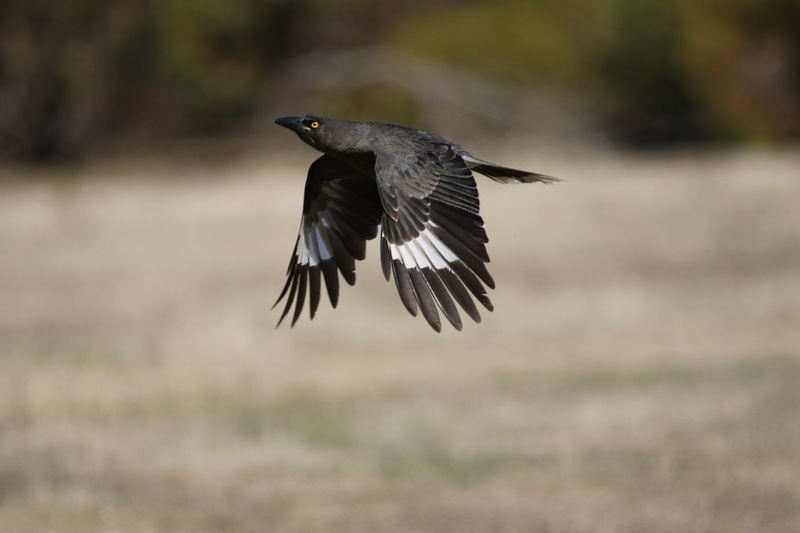 The Pied Currawong is also very common in the Canberra region. 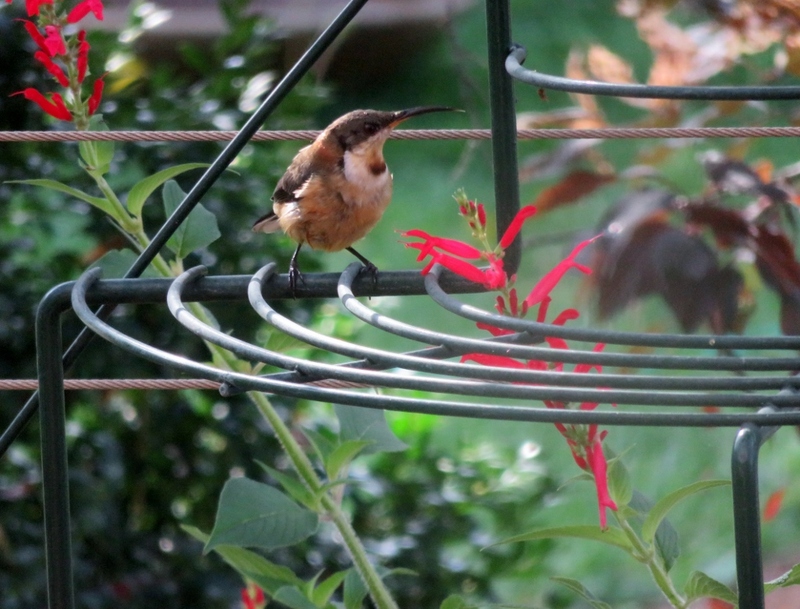 They are magnificent flyers, and can fly across the garden in a few graceful sweeps and land on a tiny branch or wire. 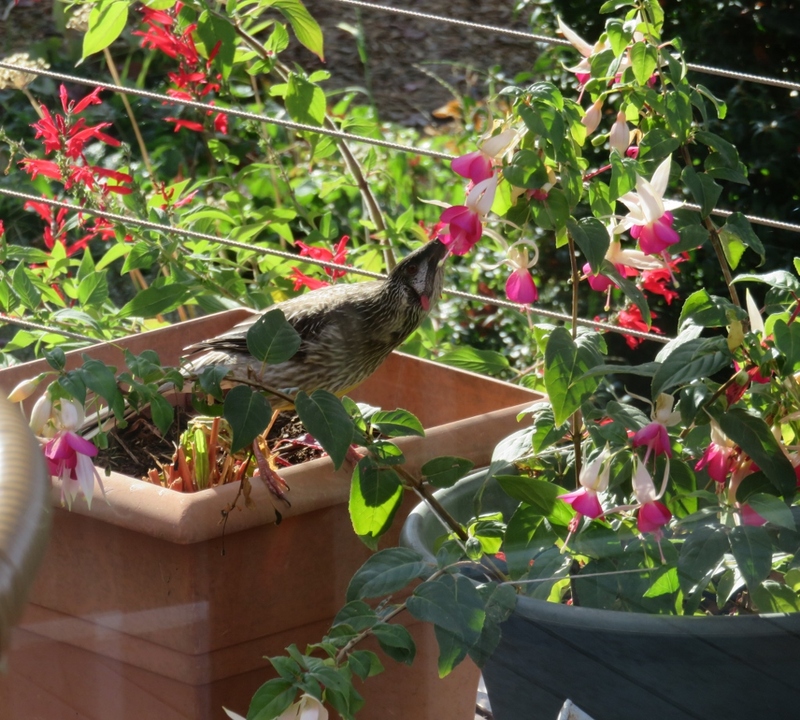 They are efficient and intelligent predators for the little birds gathering in our garden. 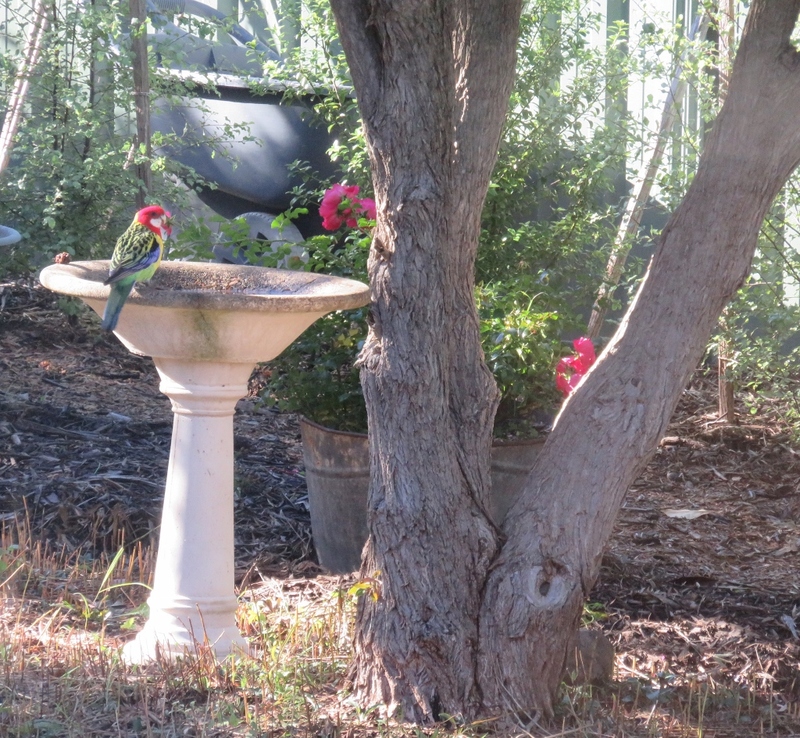 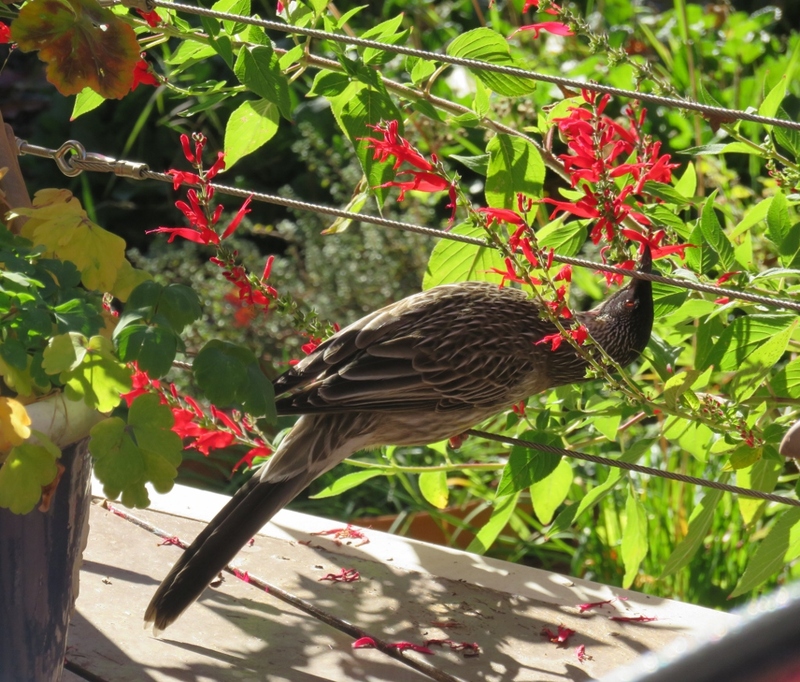 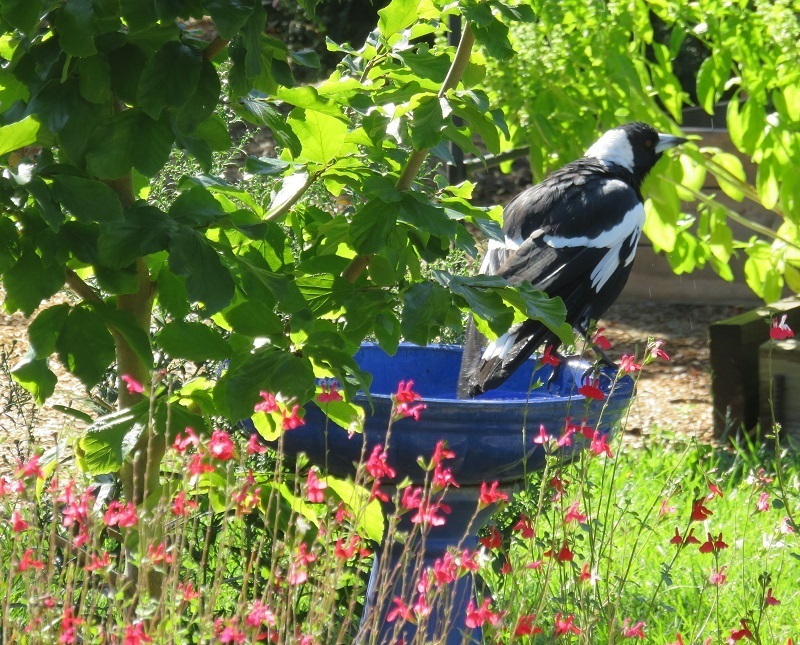 Over time, Paul and the currawongs have reached a truce; they have strictly flying rights only over the garden…no settling into bushes and on wires to watch and hunt little birds. 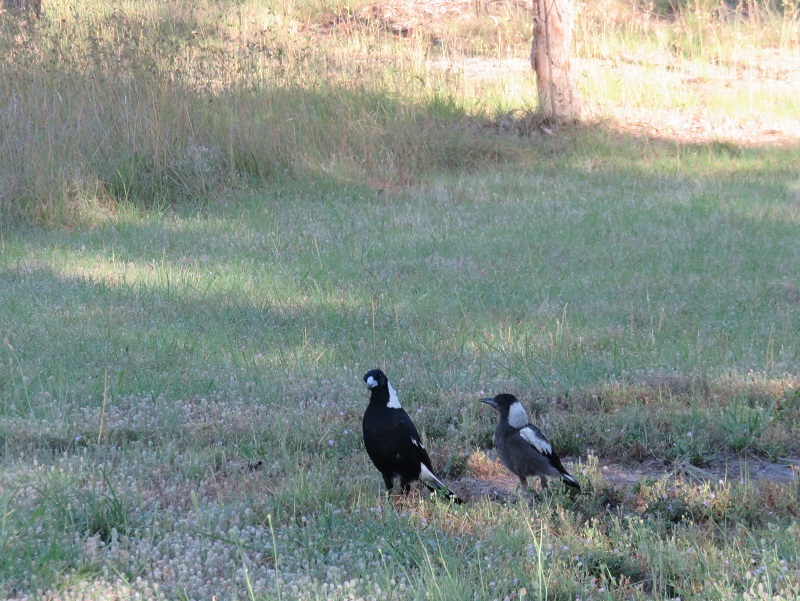 We live near Mt Taylor where they can hunt in their natural environment. 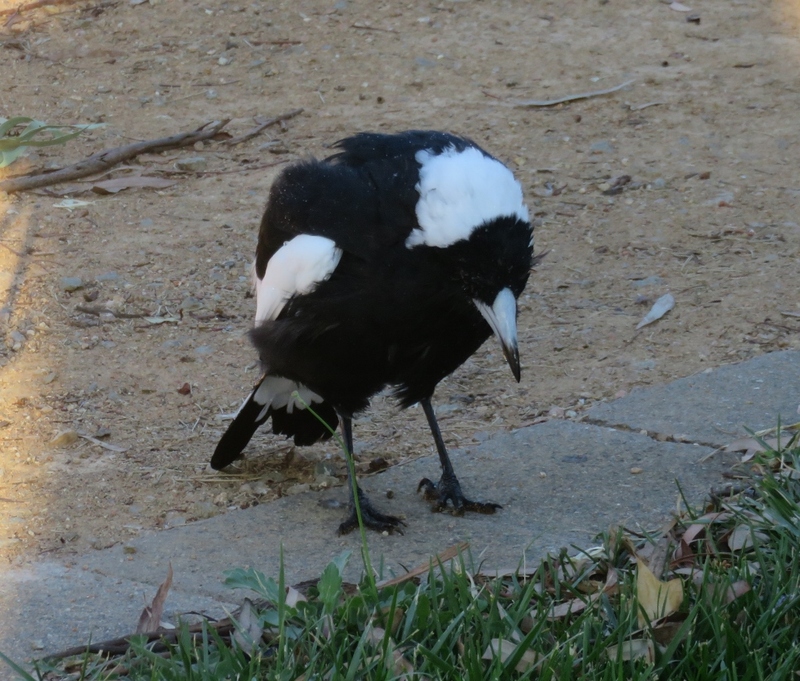 However, while we were on holiday the Currawongs enjoyed the lack of supervision, and had a touch of Oppositional Defiance Disorder when we got home. 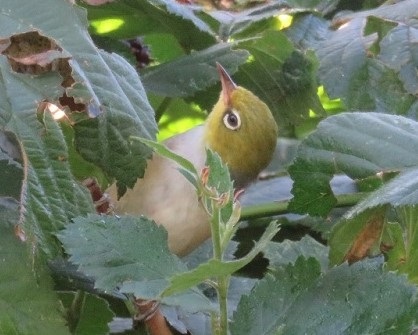 This is a well used photo I know, but so expressive! 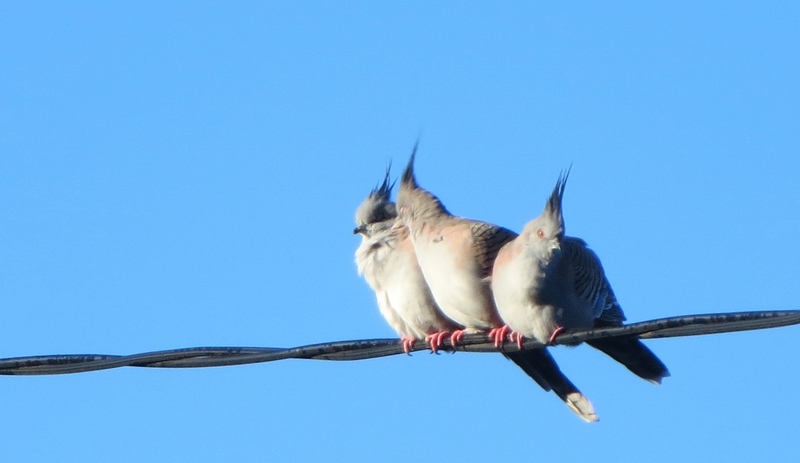 ….are they on the alert for predators? 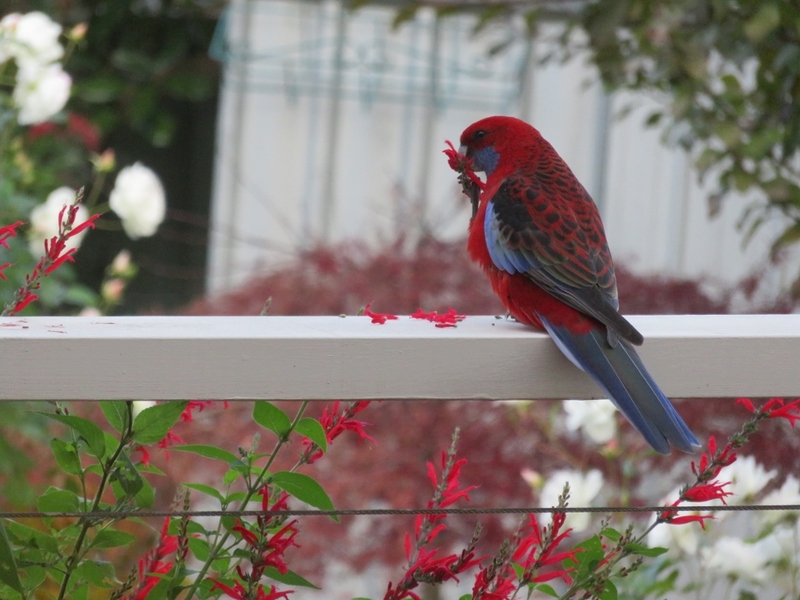 Not in Canberra I suspect..
What a perfect description of these birds! 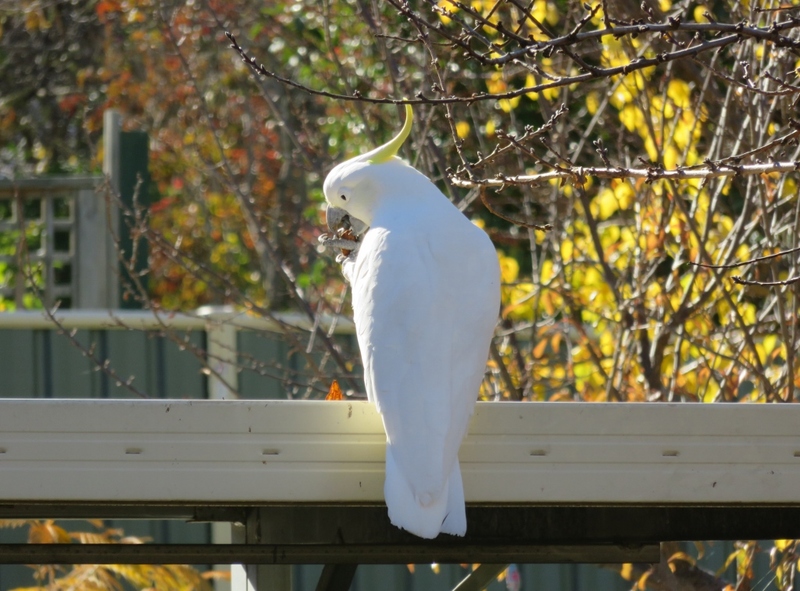 One of our resident Cockatoos was sitting on the carport roof waiting to greet us when we got back from Italy. 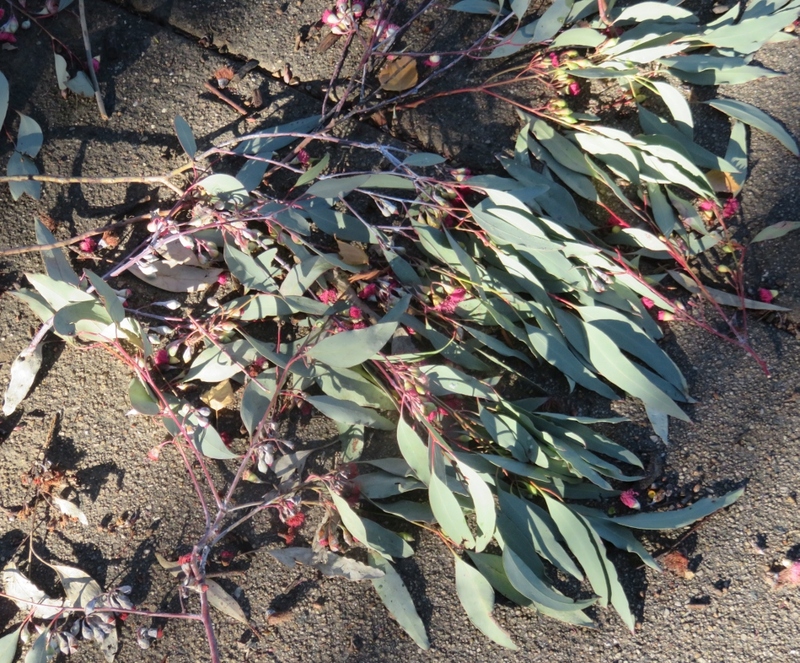 and the whole street is littered with small branches…it looks as if a shredding machine has been through the street…. 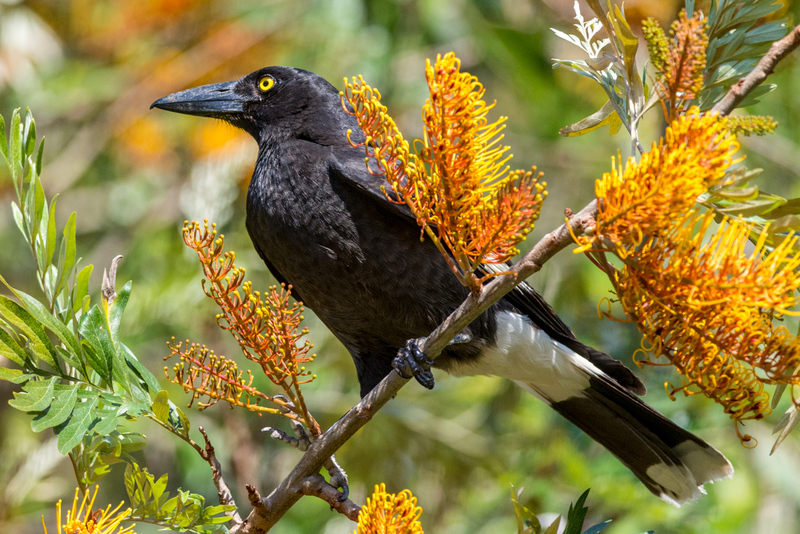 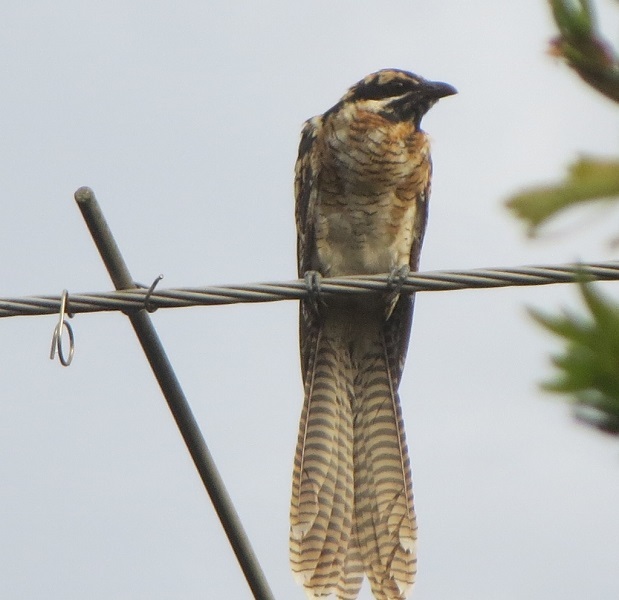 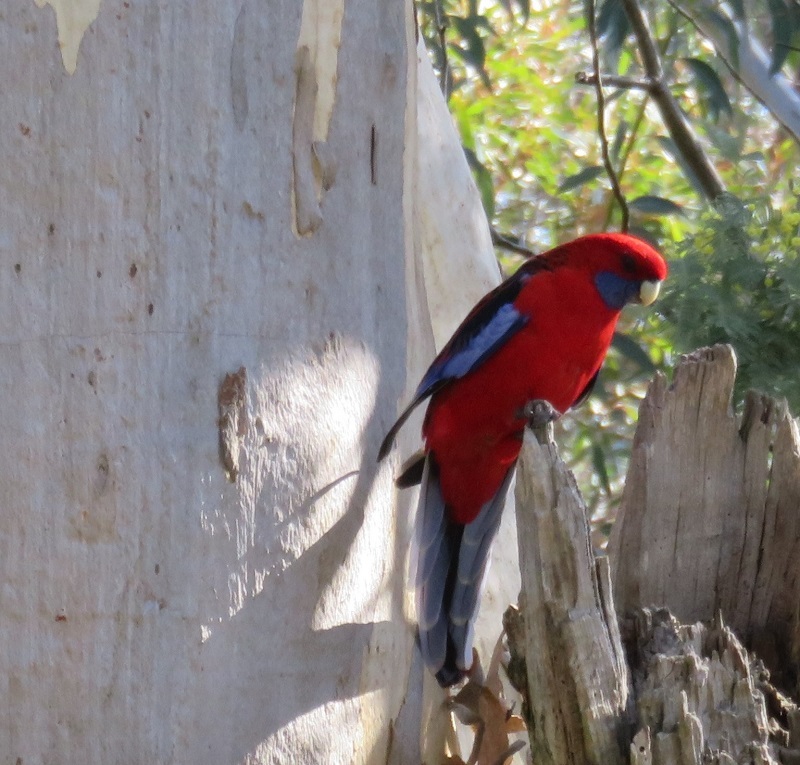 ”boldly marked, confiding and abundant, one of Australia’s best known birds. 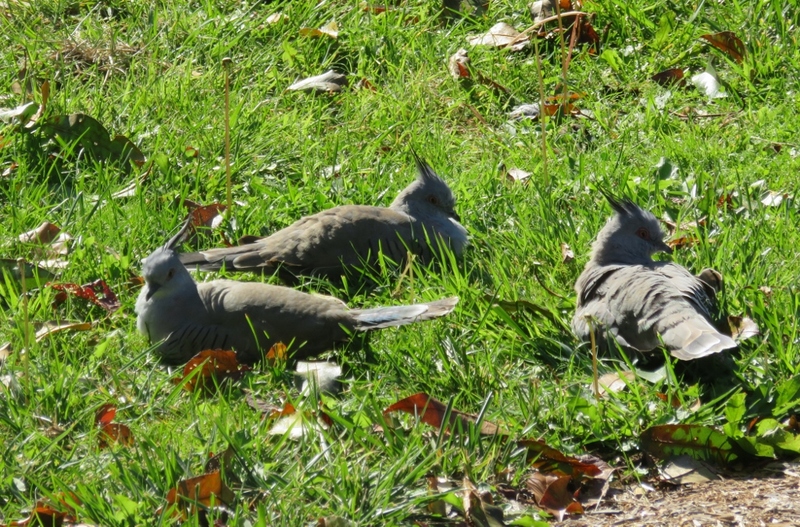 They feed on insects and other invertebrates on lawns and open ground, and may become tame if fed. 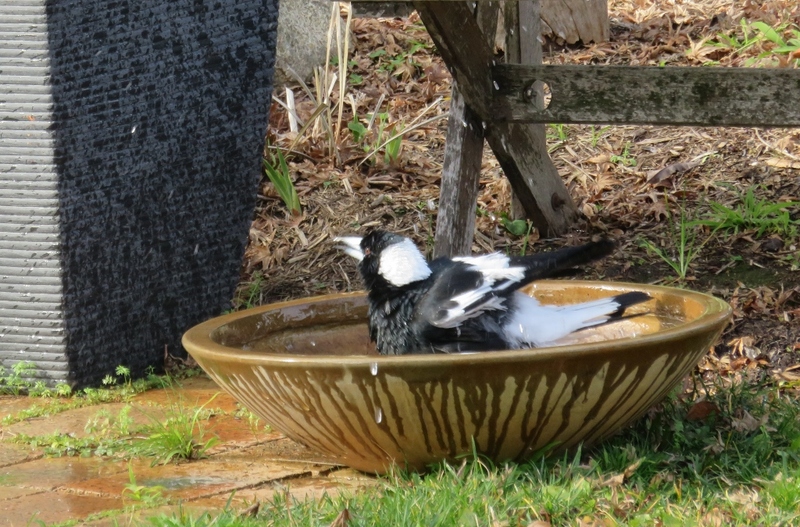 Here is one of our local Magpies….the water baby, regardless of the weather! 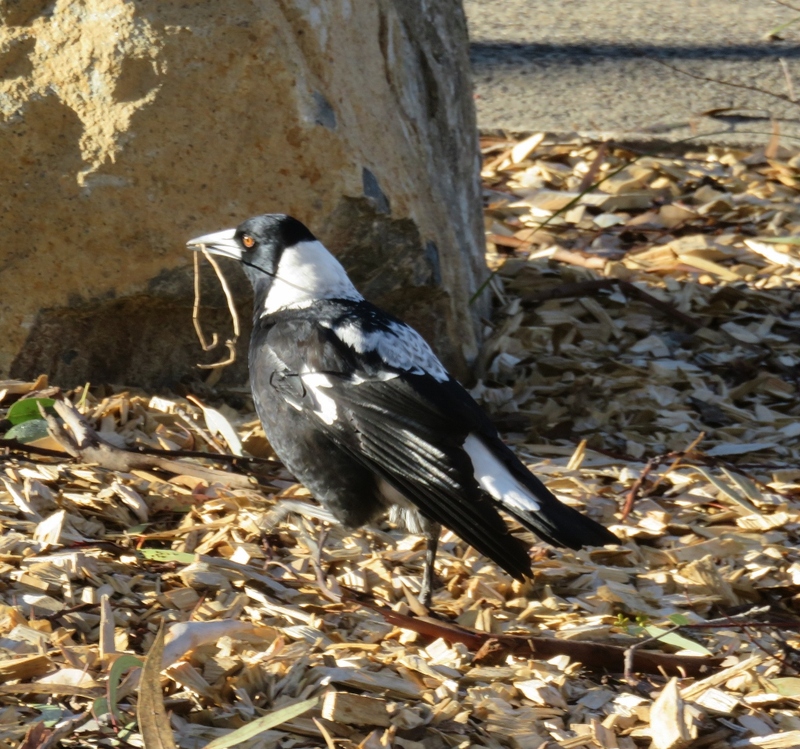 Look at this industrious Magpie…is she collecting bits for a nest already? 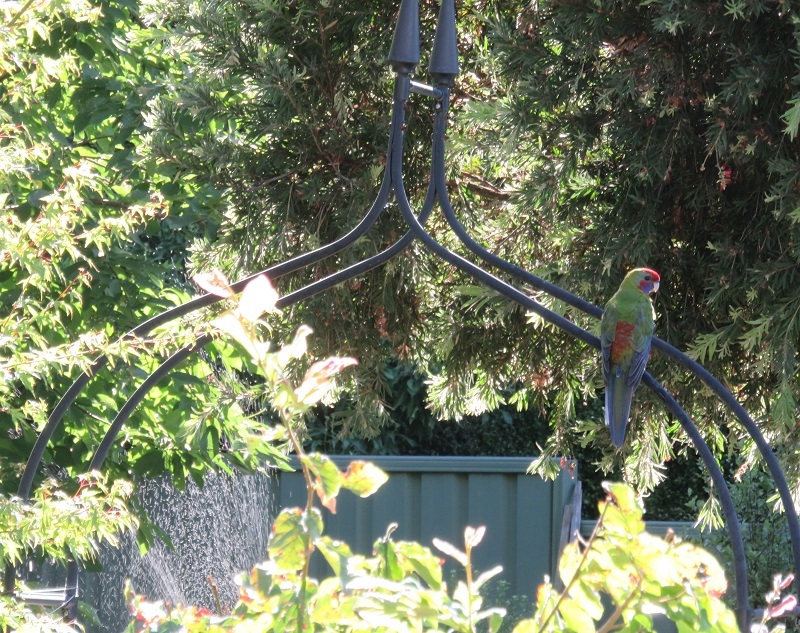 In mid-July? 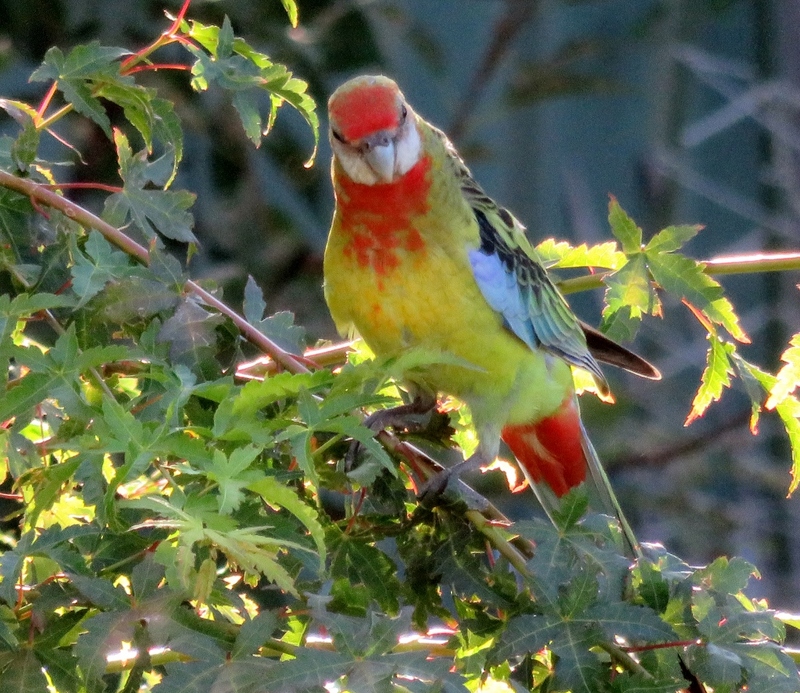 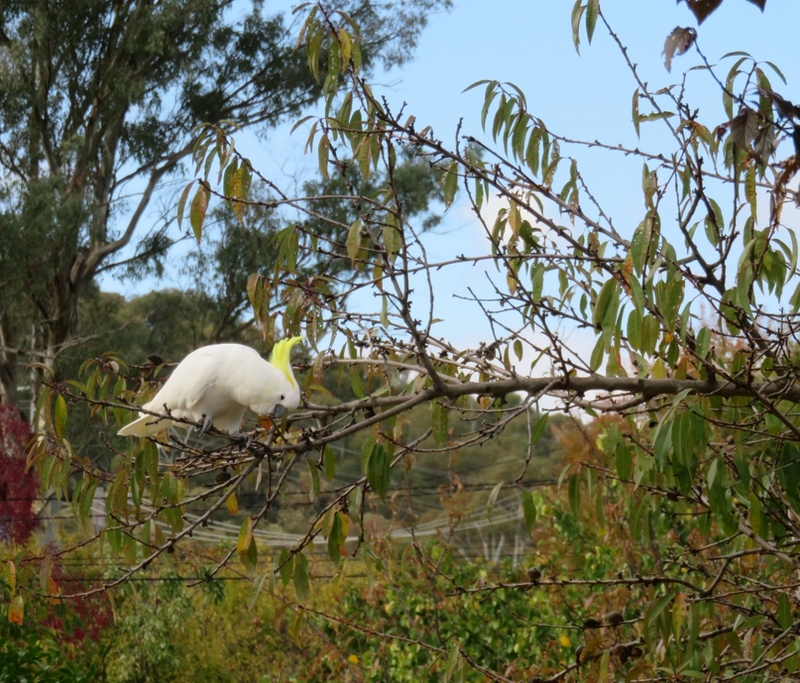 In spring I hope to bring you more photos of some of the many birds in Canberra gardens. 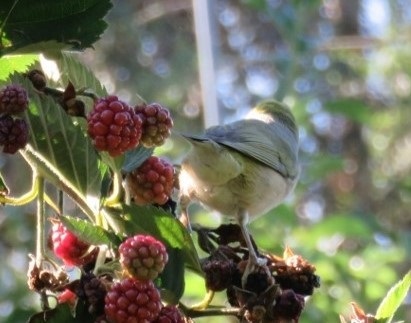 …… in the meanwhile, enjoy the birds in your neighbourhood where ever you live. 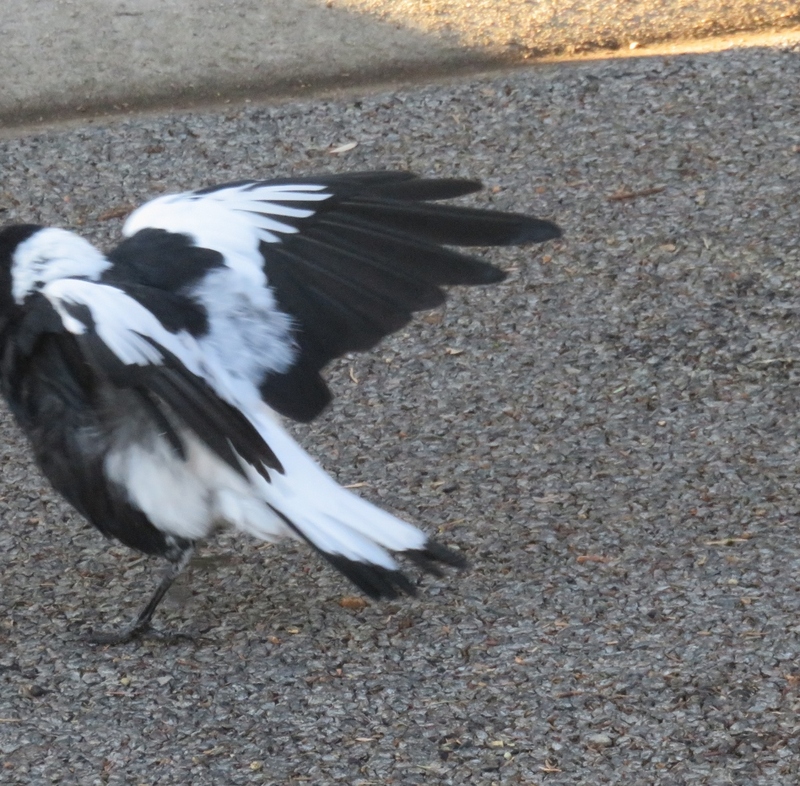 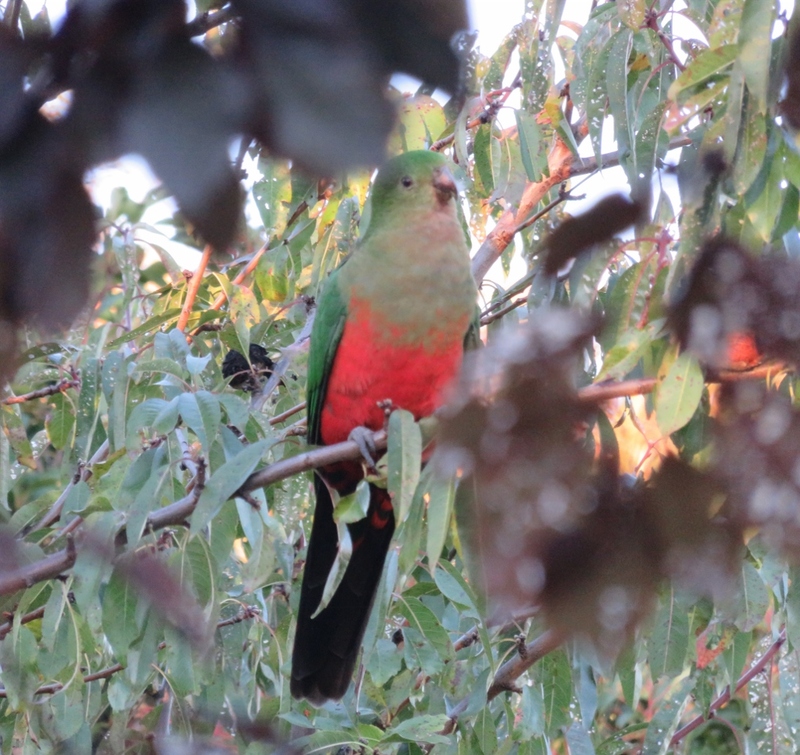 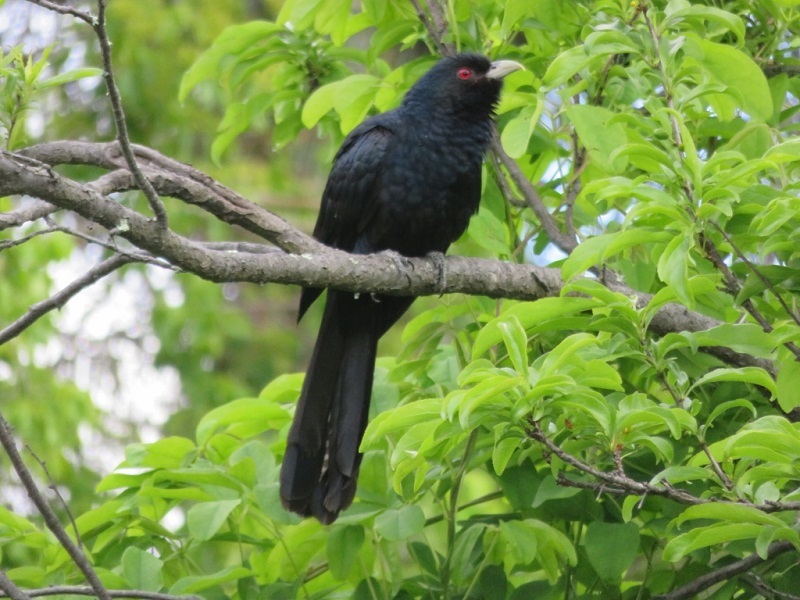 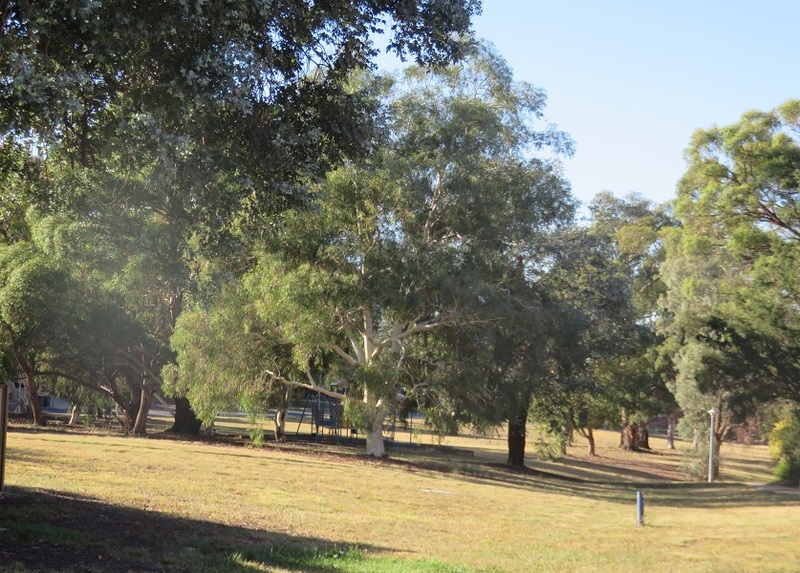 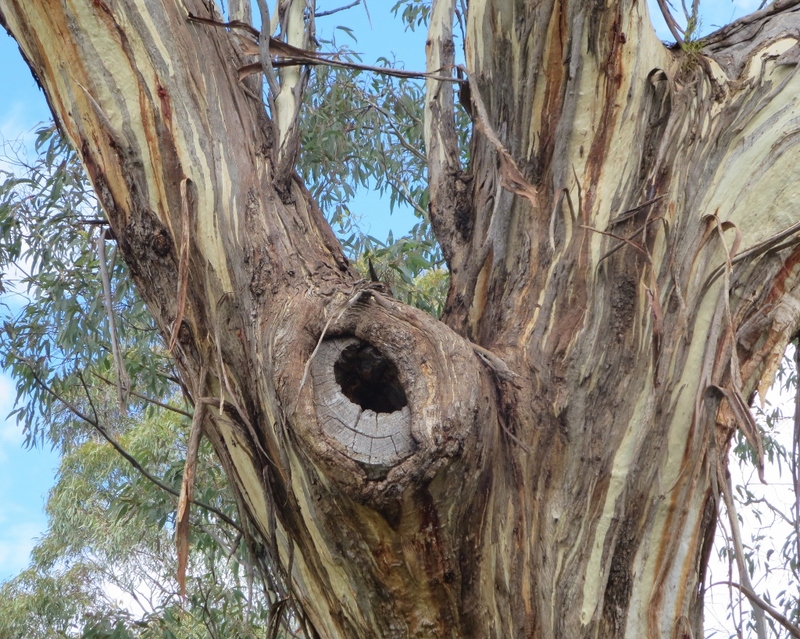 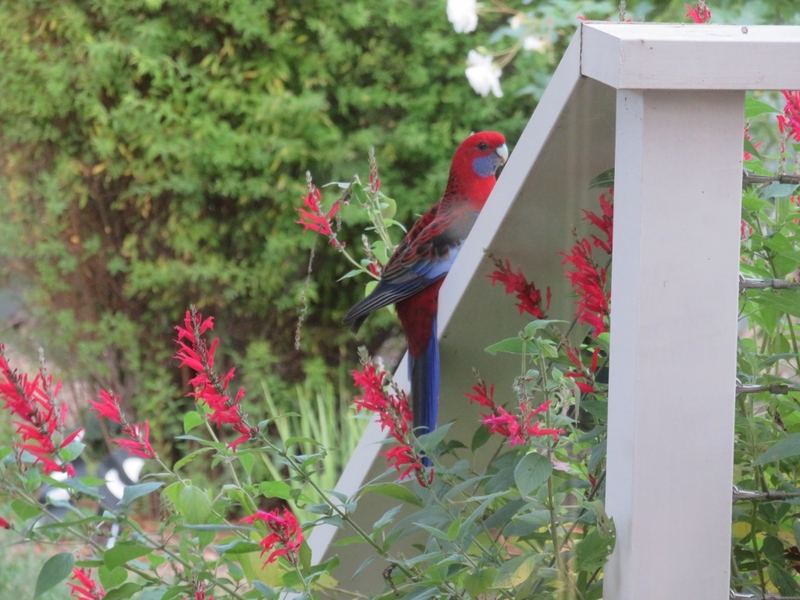 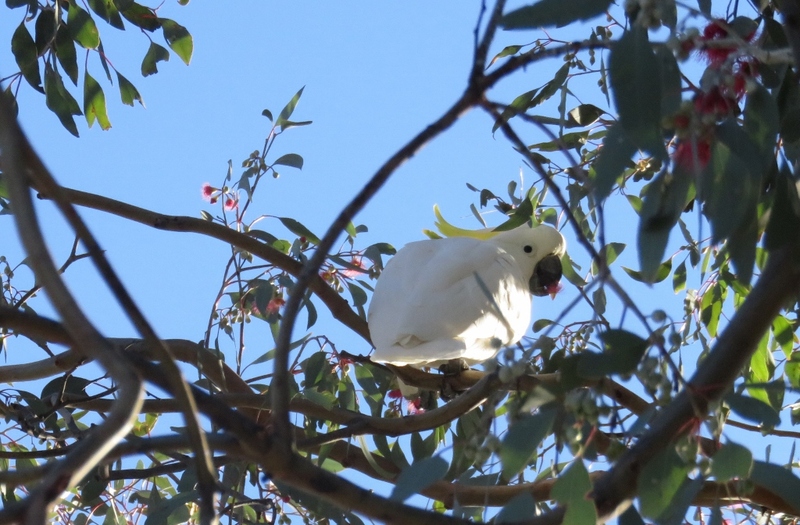 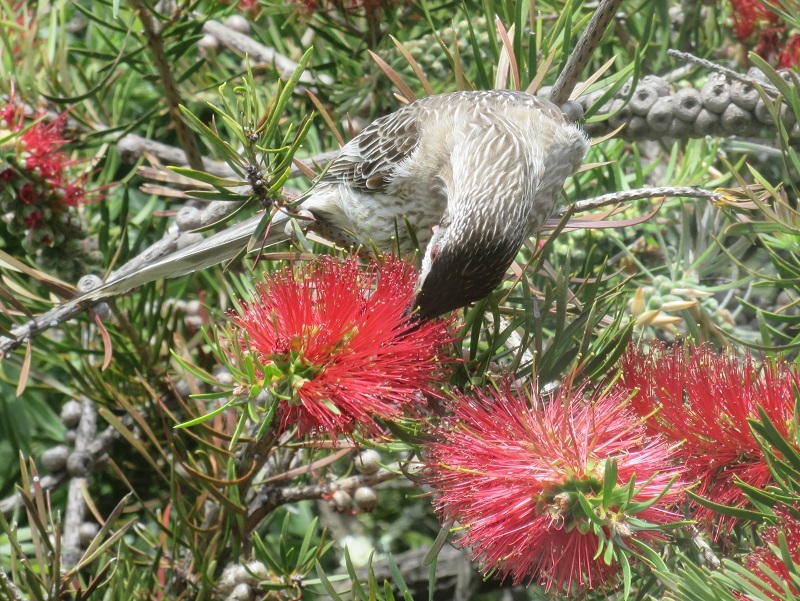 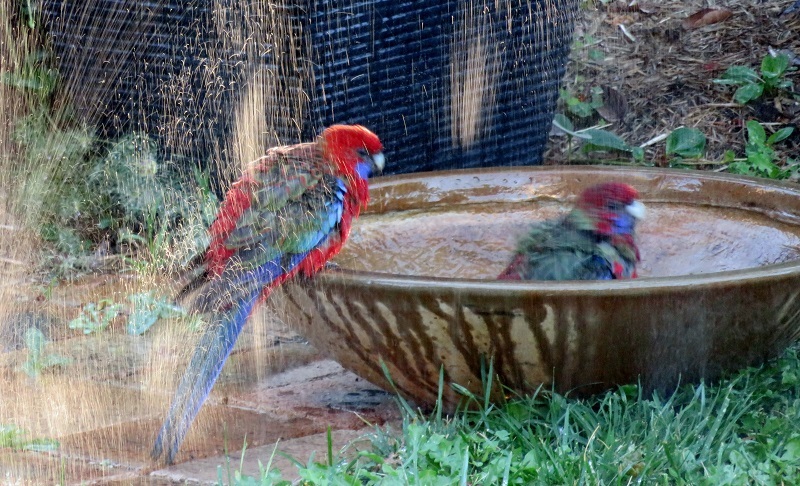 This entry was posted in Canberra's Suburban Gardens, Wildlife in the suburbs and tagged Birds of Canberra Gardens, Canberra Ornithologists Group, Crested Pigeons, Eastern Spinebill, Gang Gang Cockatoo, Grey Currawong, Ironbark eucalypts, Magpies, Peppermint Sage, Pied Currawong, Superb Fairy Wren on July 19, 2016 by germac4.